Recent site visits and meetings in Nova Scotia and Ottawa, Ontario by a delegation from MLS and Yuzhnoye were decisive in the final site selection in large part due to the enthusiastic support from the community, academia and multiple levels of provincial and federal government. John Isella, CEO of MLS, said “While we have a number of challenges ahead to work through the regulatory processes, approvals and site planning, we are optimistic that we can break ground on the launch complex within a year and meet market demands with our first launch in 2020.” MLS plans to achieve a launch rate of eight per year by 2022. With the growing global demand for space launch services, MLS will bring the mature space launch technology of Yuzhnoye and Yuzhmash in Ukraine to Nova Scotia. Yuzhnoye and Yuzhmash in Ukraine, the providers of the launch vehicle, have been in operation for 62 years, launched 875 rockets, and built and launched over 400 spacecraft. Initial funding was obtained in 2016 from United PARADYNE Corporation (UPC) in Santa Maria, CA. Mr. Joe Hasay, President/CEO of UPC, said “This program is just what UPC has been seeking in order to expand into commercial space launch operations.” UPC is a founding partner in MLS, and will bring extensive experience to launch site operations and satellite customer support. I’m sure there is some Cyclone-4 ground support equipment in Brazil that could be purchased for cents on the dollar. Too bad the Brazilians can’t sell the concrete buildings that house all of it too. Did they ever even get the GSE hardware? There were pictures of the Alcantara work site back in the 2012-2013 timeframe that showed received shipments of GSE hardware. I’d guess that all of it is still there. Six decades late.. Canada received an intact V2 missile from the Netherlands in 1945, thanks to a Canadian soldier named Farley Mowatt. Why Canadian aeronautical firms like Avro Canada, etc., never “reverse engineered” the thing towards the goal of making a satellite-launching capable rocket booster is beyond me. Had they done so, with Federal government and CAF support, there would have been a serious opportunity for Canada to have launched a small satellite (3-15Ibs) into orbit from a Nova Scotia launch site (geographically ideal for Canada) sometime between 1956 – 1959, perhaps beating the US Vanguard project in achieving LEO. Canada’s aerospace engineering wasted time on developing an indigenous supersonic fighter (Avro Arrow) in the 1950’s when they instead should have developed an evolved V2-class rocket of perhaps somewhere between 75,000 – 100,000 Ibs thrust. They had the means and opportunity. The Avro Arrow turned out to be a waste of time and money only due to incompetent political leadership at the national level, something Canada has suffered from throughout far too much of its history, including the present day. The Arrow’s supersonic aerodynamics were superior to any American design of the day. The American aerospace industry of that time, with few exceptions, seemed to have all it could handle assimilating captured German technology. Avro was pushing beyond that. The Arrow program also made sense from an economic standpoint. The Arrow could have been very competitive as an export to other NATO countries. Building rockets would have been a far more speculative undertaking. Someone really needs to do a big-budget, full-Hollywood biopic of Farley Mowat. The man led a consequential life. His WW2 exploits also include fighting in France just before it fell in 1940, participation in the invasions of Sicily and Italy in 1943, serving as an intelligence officer and being half of a team of Allied officers who arranged for German forces in The Netherlands to allow airdrops by Allied aircraft of food for the starving Dutch late in the war. After the war, he became a naturalist/environmentalist and literary figure of the first rank. He died less than three years ago. Indeed, six decades late… and still counting I’d say. 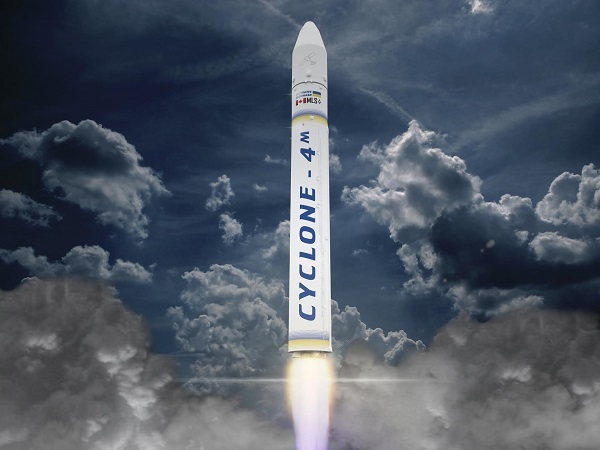 The Cyclone-4M is a Ukrainian rocket. Unfortunately, it’s not like our best and brightest are getting a chance at building the thing here or even having any control of launch operations. We’re merely offering the land to launch it from. That would be nice if true, but I find no confirmation of this anywhere on-line. Can you provide a cite/link? The Proton is so dangerous because the Russians don’t use flight termination charges to blow up errant rockets in flight. They just wait for it to barrel into the ground wherever it decides to. Blowing even a hypergolic-fueled rocket up in flight increases the probability the reactants will combine and burn before reaching the ground. Not that this makes everything hunky-dory, but it beats the Russian alternative. I think even small-town Canadian officials understand that rocketry comes with a certain risk of accidents. Permit me to suspect that there might be a few more strings attached to this agreement than you stipulate. At a minimum, students at schools and colleges within quite a radius will have something impressive to see on a moderately regular basis and might even be able to cadge places for class-project smallsats as ride-alongs on missions.